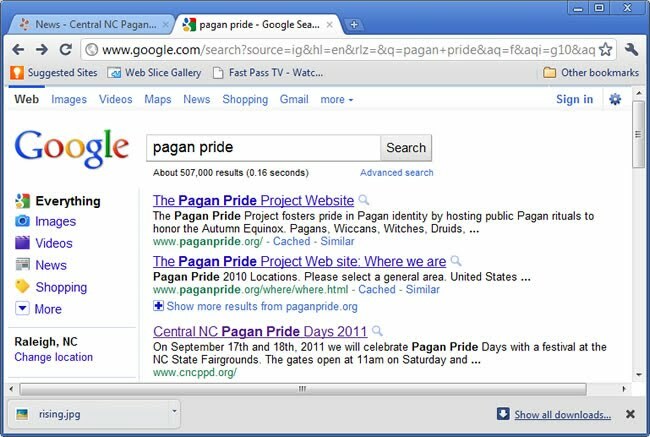 Search Google.com for "Pagan Pride", and Central NC Pagan Pride Days shows up as the top event, only second to the Pagan Pride Project International website. Yay us! Note: Google.com "knew" I was in the Raleigh area when I did the search, which helps. Do the same search from Los Angeles, and their event shows up before ours, which is appropriate. Even then, we still show up second.